Why do we need to learn to code? Really. Can’t we just get an app and be done with it? A bunch of tech people are giving us a bunch of reasons to do it but they are, in all honesty, silly. Fix a web page? Add a function to your spreadsheet? Have these people never heard of the law of comparative advantage? 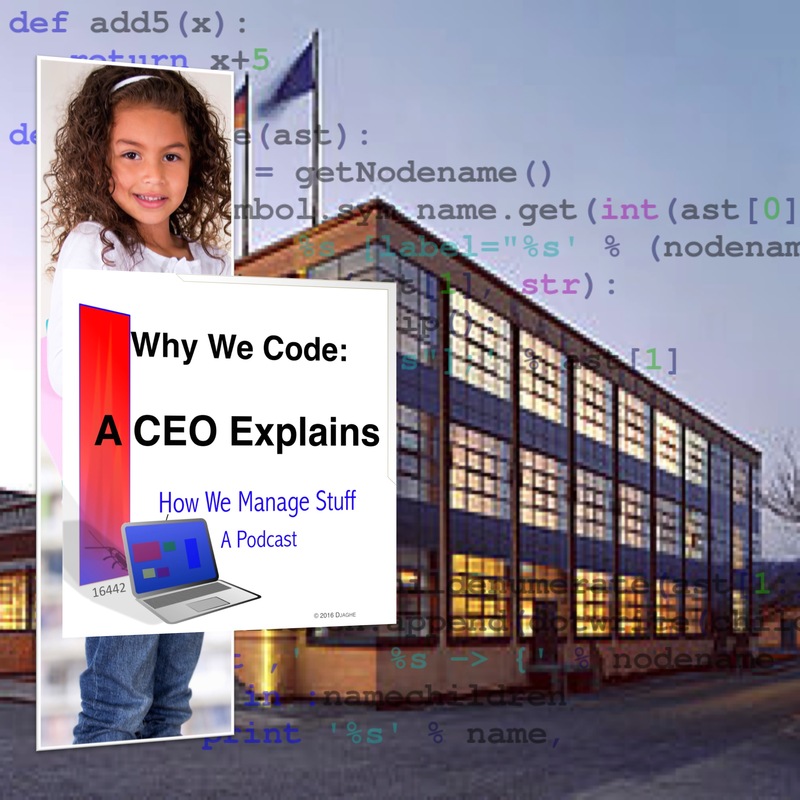 In this episode, reposted from Computer Science Week, Maddie, our model of the perfect CEO gets to the point. We need to learn to code because that is how we now think. We live in a world of programs and code. Hence we need to understand what programs and code do to our thinking.